Douglas Ancient Tartan Fabric Table Runner. Size: 146cm x 29cm (4ft 9ins x 11.5ins). Also available in 2m, 2.5m and 3m lengths. Please contact us for other custom sizes. Thomson Camel Silk Tartan Mini Sash and Rosette. Hemmed sides and fringed at both ends with r..
Macdonald Modern Silk Tartan Mini Sash and Rosette. Hemmed sides and fringed at both ends wit..
Buchanan Ancient Silk Tartan Mini Sash and Rosette. Hemmed sides and fringed at both ends wit..
Anderson Modern Tartan Mini Sash and Rosette. Hemmed sides and fringed at both ends with rose..
Macnaughton Muted Tartan Mini Sash and Rosette. Hemmed sides and fringed at both ends with ro..
Scottish National Tartan Mini Sash and Rosette. Scottish National Tartan Mini Sash and Rosette. Hemmed sides and fringed at both ends with ro..
Campbell Ancient Tartan Fabric Ribbon StripSize: Approx. 5 cm x 140 cm (2 ins x 55 ins) Hemme..
Anderson Modern Tartan Fabric Ribbon StripSize: Approx. 5 cm x 140 cm (2 ins x 55 ins) Hemmed..
Ferguson Modern Tartan Fabric Ribbon StripSize: Approx. 5 cm x 140 cm (2 ins x 55 ins) Hemmed..
Mackenzie Modern Tartan Fabric Ribbon StripSize: Approx. 5 cm x 140 cm (2 ins x 55 ins) Hemme..
Ramsay Blue Tartan Fabric Ribbon StripSize: Approx. 5 cm x 140 cm (2 ins x 55 ins) Hemmed sid..
Caledonia Modern Tartan Fabric Ribbon StripSize: Approx. 5 cm x 140 cm (2 ins x 55 ins) Hemme..
Robertson Modern Tartan Fabric Ribbon StripSize: Approx. 5 cm x 140 cm (2 ins x 55 ins) Hemme..
Gordon Modern Dress Tartan Fabric Ribbon StripSize: Approx. 5 cm x 140 cm (2 ins x 55 ins) He..
Baird Modern Tartan Fabric Ribbon StripSize: Approx. 5 cm x 140 cm (2 ins x 55 ins) Hemmed si..
Douglas Modern Tartan Fabric Ribbon StripSize: Approx. 5 cm x 140 cm (2 ins x 55 ins) Hemmed ..
Thomson Modern Grey Tartan Fabric Ribbon StripSize: Approx. 5 cm x 140 cm (2 ins x 55 ins) He..
Macnaughton Muted Tartan Fabric Ribbon StripSize: Approx. 5 cm x 140 cm (2 ins x 55 ins) Hemm..
Elliot Modern Tartan Fabric Ribbon StripSize: Approx. 5 cm x 140 cm (2 ins x 55 ins) Hemmed s..
Maclean Modern Hunting Tartan Fabric Ribbon StripSize: Approx. 5 cm x 140 cm (2 ins x 55 ins) ..
Macrae Ancient Hunting Tartan Fabric Ribbon StripSize: Approx. 5 cm x 140 cm (2 ins x 55 ins) ..
Farquharson Modern Tartan Fabric Ribbon StripSize: Approx. 5 cm x 140 cm (2 ins x 55 ins) Hem..
Fraser Ancient Hunting Tartan Fabric Ribbon StripSize: Approx. 5 cm x 140 cm (2 ins x 55 ins) ..
Buccleuch Modern Tartan Fabric Ribbon StripSize: Approx. 5 cm x 140 cm (2 ins x 55 ins) Hemme..
Scott Weathered Tartan Fabric Ribbon StripSize: Approx. 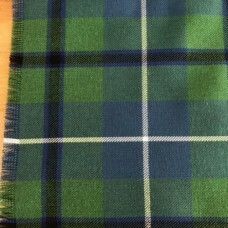 5 cm x 140 cm (2 ins x 55 ins) Hemmed..
Isle of Skye Tartan Fabric Ribbon StripSize: Approx. 5 cm x 140 cm (2 ins x 55 ins) Hemmed si..
Kingdom of Fife Tartan Fabric Ribbon StripSize: Approx. 5 cm x 140 cm (2 ins x 55 ins) Hemmed..
Macgregor Tartan Fabric Ribbon StripSize: Approx. 5 cm x 140 cm (2 ins x 55 ins) Hemmed sides..
Cameron of Erracht Modern Tartan Fabric Ribbon StripSize: Approx. 5 cm x 140 cm (2 ins x 55 ins) ..
Black Watch Tartan Fabric Ribbon StripSize: Approx. 5 cm x 140 cm (2 ins x 55 ins) Hemmed sid..
Macdonald Modern Tartan Fabric Ribbon StripSize: Approx. 5 cm x 140 cm (2 ins x 55 ins) Hemme..
Davidson Tartan Fabric Ribbon StripSize: Approx. 5 cm x 140 cm (2 ins x 55 ins) Hemmed sides ..
Hamilton (Red) Tartan Fabric Ribbon StripSize: Approx. 5 cm x 140 cm (2 ins x 55 ins) Hemmed ..
Mackay Ancient Tartan Fabric Ribbon StripSize: Approx. 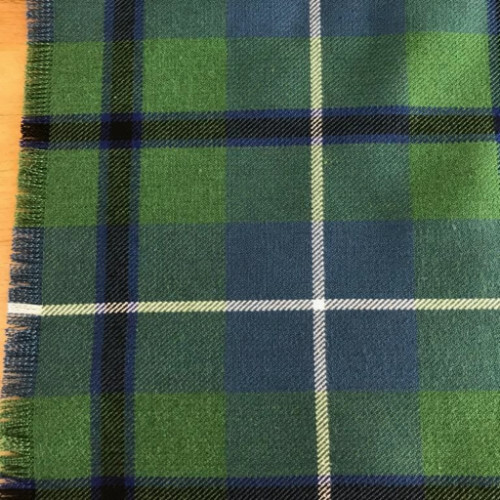 5 cm x 140 cm (2 ins x 55 ins) Hemmed ..
Scottish National Tartan Fabric Ribbon StripSize: Approx. 5 cm x 140 cm (2 ins x 55 ins) Hemm..
Royal Stewart Tartan Fabric Ribbon StripSize: Approx. 5 cm x 140 cm (2 ins x 55 ins) Hemmed s..
Auld Lang Syne Grey Tartan Fabric Ribbon StripSize: Approx. 5 cm x 140 cm (2 ins x 55 ins) ..
Buchanan Tartan Fabric Ribbon StripSize: Approx. 5 cm x 140 cm (2 ins x 55 ins) Hemmed sides ..
Colquhoun Ancient Tartan Fabric Ribbon StripSize: Approx. 5 cm x 140 cm (2 ins x 55 ins) Hemm..
Isle of Arran Tartan Fabric Ribbon StripSize: Approx. 5 cm x 140 cm (2 ins x 55 ins) Hemmed s..
Macleod of Lewis Tartan Fabric Ribbon StripSize: Approx. 5 cm x 140 cm (2 ins x 55 ins) Hemme..
Menzies Tartan Fabric Ribbon StripSize: Approx. 5 cm x 140 cm (2 ins x 55 ins) Hemmed sides a..
Stewart Dress Tartan Fabric Ribbon StripSize: Approx. 5 cm x 140 cm (2 ins x 55 ins) Hemmed s..
Clark Modern Tartan Fabric Ribbon StripSize: Approx. 5 cm x 140 cm (2 ins x 55 ins) Hemmed si..
Macmillan (Modern/Black) Tartan Fabric Ribbon StripSize: Approx. 5 cm x 140 cm (2 ins x 55 ins) ..
MacIntyre (New/Hunting) Tartan Fabric Ribbon StripSize: Approx. 5 cm x 140 cm (2 ins x 55 ins) ..